Online classifieds firm Quikr India Pvt. Ltd has acquired Bengaluru-based beauty services marketplace StayGlad in the third such takeover deal within five months to strengthen its beauty services brand AtHomeDiva. The company didn't disclose financial details of the deal in a statement. 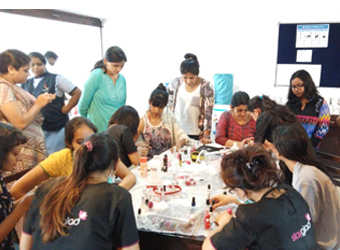 Quikr had bought ZapLuk in August and Gurgaon-based Salosa in May to expand AtHomeDiva's range of beauty services and its reach across cities. Quikr has been on a shopping spree for quite some time now. Last week, it acquired Stepni, a platform that connects vehicle owners with service providers nearest to them. Earlier this year, Quikr forayed into the white collar jobs segment by acquiring IDG Ventures-backed Abhiman Technologies Pvt. Ltd, which runs jobs portal Hiree.com. In January, it acquired online realty player CommonFloor. AtHomeDiva functions under the QuikrServices vertical and offers on-demand, in-home beauty services across Bengaluru, Delhi, Mumbai, Chennai, Gurgaon and Hyderabad. PD Sundar, head of QuikrServices, said StayGlad is one of the largest players in beauty services with a 70% customer repeat rate, which makes it a "great fit" for AtHomeDiva. "As a service provider we want to continue to scale to meet that demand, and also ensure that we maintain the high standards of quality we pride ourselves on," Sundar said. "At-home beauty is a large segment and a great business. Joining forces with Quikr will bring scale and give us a much larger customer base as we start servicing consumer needs under one umbrella," said Jain. StayGlad had received an undisclosed amount of angel investment from Tracxn Labs, Delhivery co-founder Sahil Barua and other investors in June last year. It raised an undisclosed amount in Series A funding from Silicon Valley-based VC firm Bessemer Venture Partners in November.